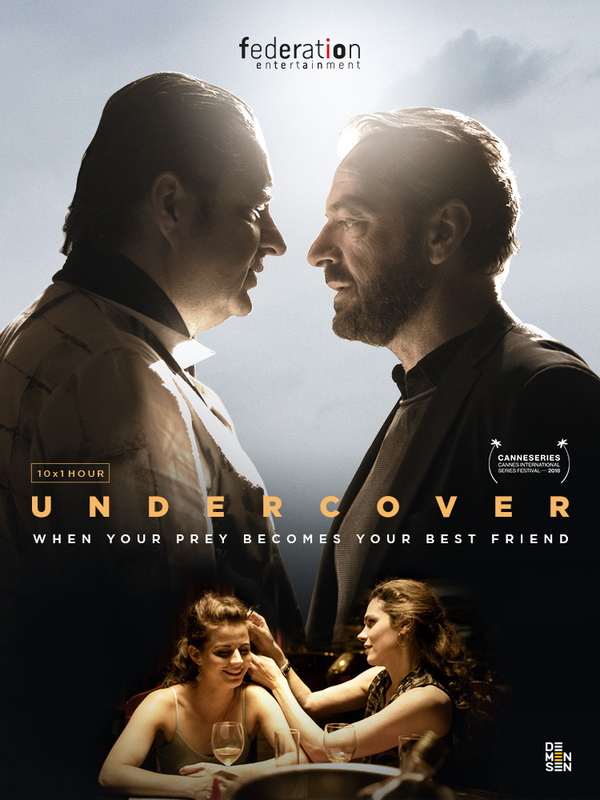 Inspired by several real-life events, UNDERCOVER tells the story of agents Bob Lemmens and Kim de Rooij, an undercover couple striving to gain the trust of an ecstasy producer and his wife. Our agents will feel friction not only with their neighbors but also among themselves. Ferry Bouman is a one-of- a-kind drug lord who lives part time luxurious life in his villa on the Dutch-Belgian border and yet, he is never happier than when he’s in his cabin at the local trailer park. Relationships become heated when the agents move into his territory, attempt to infiltrate his life and shut down his network.The Flanders region has a growing reputation as the Mecca of synthetic drugs and the Belgian and Dutch police are finally cracking down. They join forces to set up their two best undercover agents in a caravan right next to the drug lord and his family. Cozy perhaps, but loaded with danger! This exciting thriller was selected by Canneséries Festival for its first edition (April 4th-11th 2018) as part of the official selection.